LUXURY AND THIRD ROW!!! 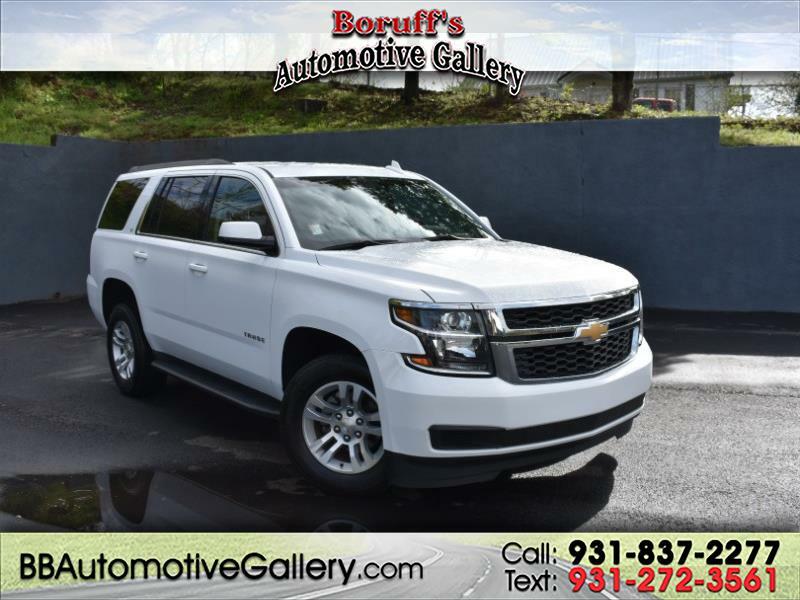 For dependability and style, you need to look no further than this incredible 2018 Chevrolet Tahoe LT now available at Boruff's Automotive Gallery in Sparta, TN! This luxurious Tahoe has all the features that one would want for a daily driver! With its strong 5.3L engine and its smooth shifting automatic transmission, this Chevrolet has the power and dependability to last. When it comes to equipment, this Tahoe is loaded with great features such as XM-satellite radio, back-up assist rear camera, steering wheel mounted controls, leather interior, duel power adjustable seats, heated front seats, duel climate controls, power locks and windows, keyless entry, cruise control, front duel climate controls and more! Stop by today and experience the luxury of this incredible Tahoe while it last!